IQA de Sandpoint10 Uofi, Idaho: Indice de Qualité de l'Air (IQA) de Sandpoint10 Uofi, Idaho en temps réel. IQA de Sandpoint25 Uofi, Idaho. IQA de Bonners Ferry, Idaho. IQA de Bonners Ferry Kootenai, Idaho. IQA de Mt Hall, Idaho. voir toutes les nouvelles, ou consultez la foire aux questions. Vous recherchez une autre ville? Support pour plus de plateformes (Windows 8 , Foxos , Tizen , ... ) à venir .... Restez à l'écoute! 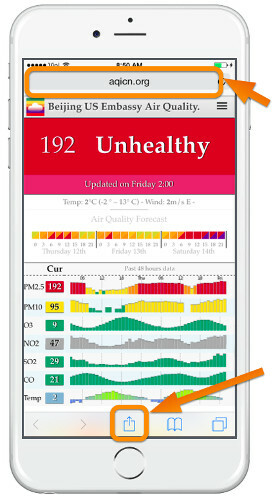 Click here to download the Sandpoint10 Uofi, Idaho Air Quality plugin from the Chrome store. Click here to download the Sandpoint10 Uofi, Idaho Air Quality plugin from the Firefox store. 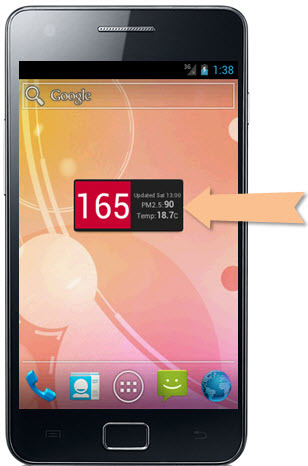 In order to install the Sandpoint10 Uofi, Idaho Air Quality Widget on your favorite iPhone or iPod device, just launch the internet browser from your device and open the web page: " http://ios.aqicn.org/?5862". 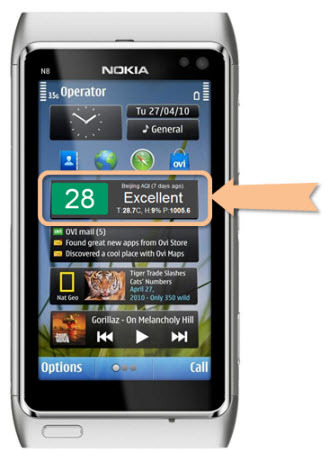 In order to install the Sandpoint10 Uofi, Idaho Air Quality Widget on your favorite Symbian device, just download the "Sandpoint10 Uofi, IdahoAir.wgz" and install on your phone using Nokia Suite. Download " Sandpoint10 Uofi, IdahoAir.wgz". In order to install the Sandpoint10 Uofi, Idaho Air Quality Widget on your Windows Desktop, just download the "Sandpoint10 Uofi, Idaho.gadget" and let you be guided through the Windows installer. You can download the Sandpoint10 Uofi, Idaho Air Quality Widget on your Android Device directly from the google app store. Vous cherchez d'autres produits liés à la qualité de l'air? 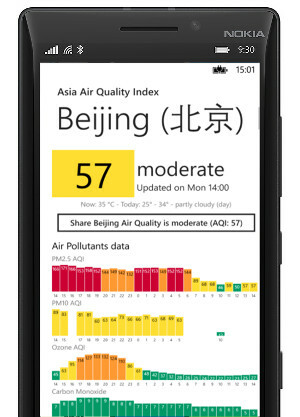 51 -100 Modéré Air quality is acceptable; however, for some pollutants there may be a moderate health concern for a very small number of people who are unusually sensitive to air pollution. Pour des conseils de santé très utiles de Docteur Richard Saint Cyr, consultez le blog myhealthbeijing.com.